The K1 platform of the new Hyundai Santro will spawn two other cars from Hyundai’s stable. These are the 2019 Grand i10 and the QX1 compact SUV. The K1 platform used in the all-new Hyundai Santro will play a pivotal role for the South Korean automaker in India. This all-new chassis, currently underpinning the Santro (Read More) in India and used for the European spec Grand i10 (i10), will be seen on two future models from Hyundai. The 2019 Grand i10 hatchback and the Carlino concept based sub-compact SUV is going to use this highly flexible platform. 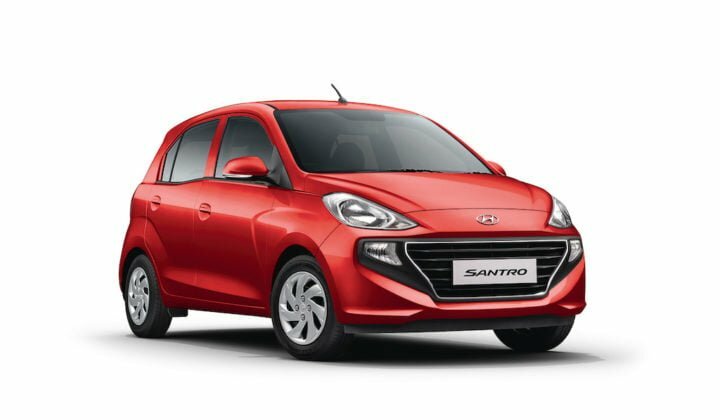 Senior company officials believe that the Santro, combined with these two above mentioned products will help Hyundai take hold of about 30 per cent market share in the compact vehicle segment in India. This new K1 platform used in the Hyundai Santro offers a lightweight construction. In addition to this, it 63 per cent more rigid than the previous platform. Also, thanks to its flexible nature, it can support multiple car styles. Not just Hyundai, but Kia too might use this platform for their own compact and sub-compact vehicles for the Indian market. The Hyundai Santro, in its third generation iteration, made its debut in India this week. This launch marks the ‘Santro’ brand name’s comeback to our market after the car’s discontinuation back in 2014. Ahead of the new Santro’s launch, the test mules of the next-generation Grand i10 and the QX1 sub-compact SUV were seen on Indian roads. Recent developments suggest that both these models will launch in India before the end of the year 2019. With stringent crash test norms coming in effect starting April 2019, the rigid K1 platform will help both these cars meat the required crash worthiness certificate. Apart from these two, the Hyundai Santro platform will also make its appearance on the next-generation iteration of the Hyundai Xcent. This sub-compact sedan is likely to launch in India after the debut of the Grand i10 hatchback. In addition to these models, Hyundai is also going to launch an all-electric SUV, the Kona in India next year. However, that will not be the only all-electric product from Hyundai for India. The company is under consideration to soon debut compact electric vehicles as well. Hence, we might see an electric version of the Carlino based QX1 or even of either the Grand i10 or i20.